Caye Caulker, Belize is one of the most beautiful places I have visited. While staying on this tiny island, we decided to take a day trip to Lamanai Mayan Site, to see the ruins. 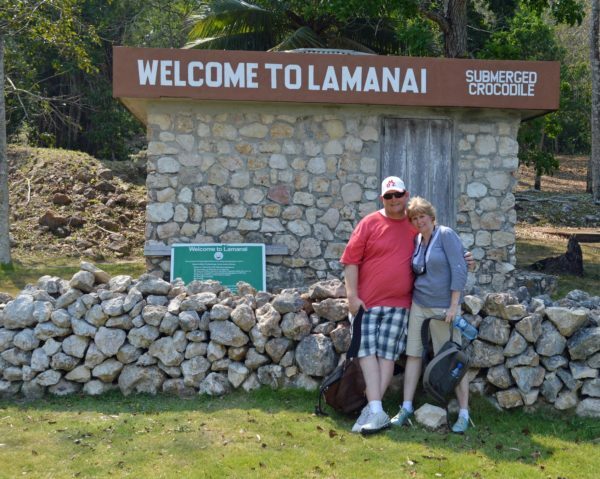 We’ve been to other Mayan sites in Mexico, San Gervasio, Tulum and Chichen Itza, but decided to take a trip to Lamanai do a little exploring. We caught the water taxi to the mainland at 7am for the New River cruise and Lamanai Mayan Site tour. The water taxi was a lot smoother than I thought it would be. I have been on these before, in Mexico between Playa del Carmen and Cozumel and it Estonia between Tallinn and Helsinki, Finland, and I always get sick. This one did not bother me at all. Phew. When we got to Belize City, there was a van waiting to take us to the New River for our cruise to the ruins. It was a fun ride, although somewhat long. 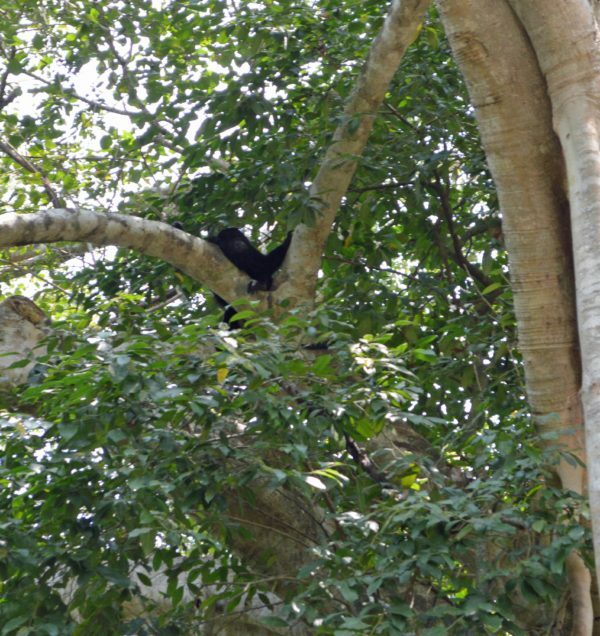 My favorite part was feeding a wild spider monkey a Pringles out of my hand and taking the awesome photo of him below. Apparently this one does not actually like bananas. During the boat ride, we also saw a lot of different birds and some tiny bats. Our guide told us all about the area and the different wildlife and plants on the river. I think he knew what he was talking about, but how would I know the difference? Either way, it was interesting. On the New River is a Mennonite village that has been there for about 50 years with origins in Germany. 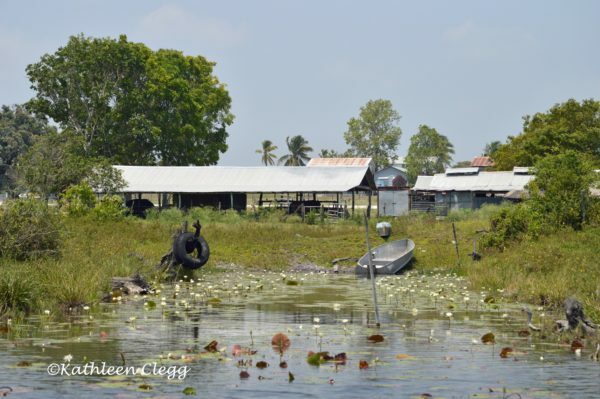 About 3,000 people live in this village and they supply 80% of the food for the country of Belize. They are some hard workers. We actually saw a few Mennonites on Caye Caulker the next day, but I don’t know if they lived in this village or not. We arrived at our destination, Lamanai. This place is deep in the forest, with loads of mosquitos. Our guide was very knowledgeable about the area and shared lots and lots of information with us. 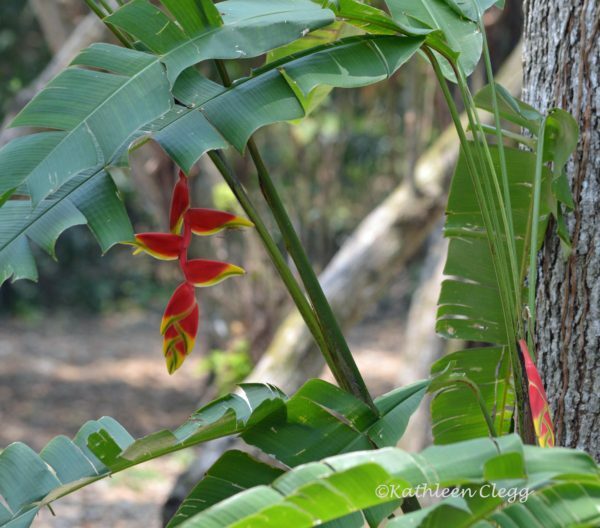 This flower is a Heliconia, also called a Lobster Claw. They are so interesting looking and pretty to me. There are signs like the one below all around the ruins. Lamanai Mayan Site has over 800 temples, but only a few have been excavated so far. When a new person became king, he had to build 13 new temples, to the 13 gods and he built them on top of the existing temples. The king also had to take 32 wives, one from each Mayan tribe and one from the Mexican tribe. Also, when they sacrificed someone to the gods, it was one of the king’s own children. 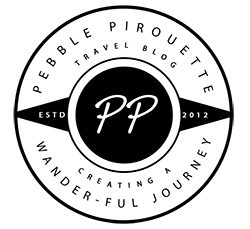 I always thought it was a slave or peasant. The child grows up knowing their fate is to be sacrificed. Watch out for monkeys in the trees. They didn’t actually bother us, but if you break out some food, watch out! 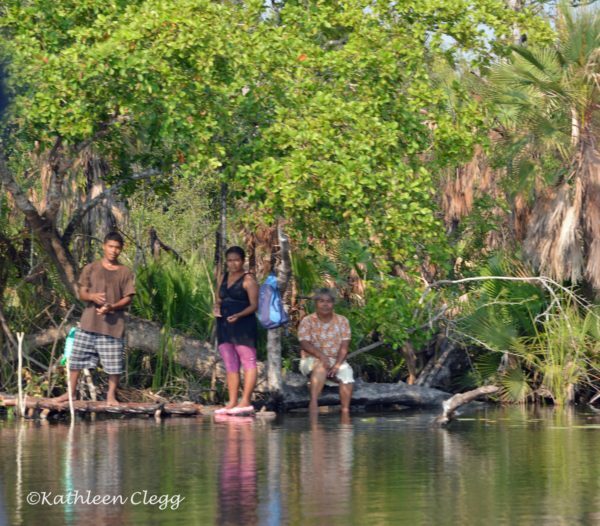 A local family fishing on the river on our way back to our bus from Lamanai. 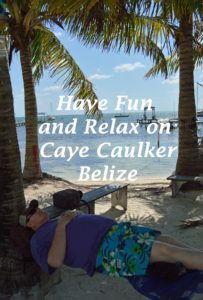 This tour took most of the day, adding on time to get from Caye Caulker to the Mainland and back. However, it was really worth the full day and I’m very glad we went. It wasn’t really different from the other sites I’ve seen, but it seems that with each place we visit, we learn something new about the Mayans. Also, the monkey totally made it worth the visit. 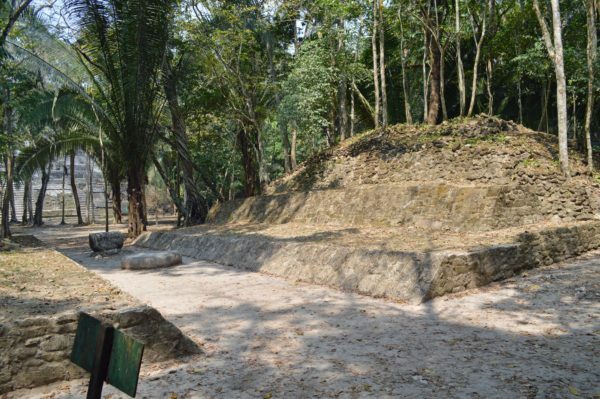 Have you ever visited the Lamanai Mayan site or and other ruins? Have you ever fed a monkey a Pringles before? 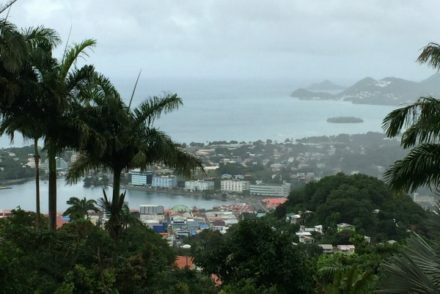 I’ve never heard of this place before but it definitely looks like a great place to explore – I love anything related to ancient civilization and nature with animals! We hadn’t heard of it either, but were all in when we did. It was a fun day. 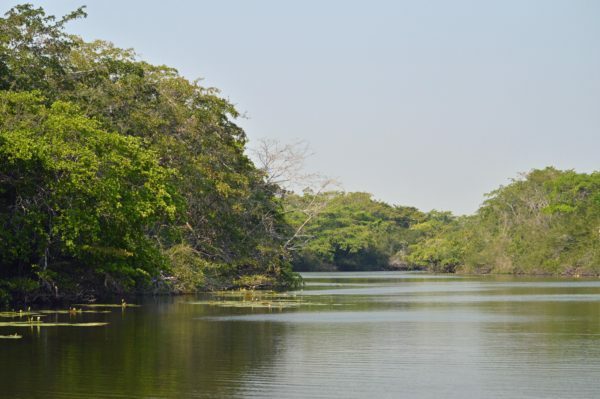 This Mayan adventure in Belize looks fantastic! I am definitely saving this post for my Belieze Trip!!! It was fantastic. The monkey was a huge bonus for me. I hope you enjoy it. 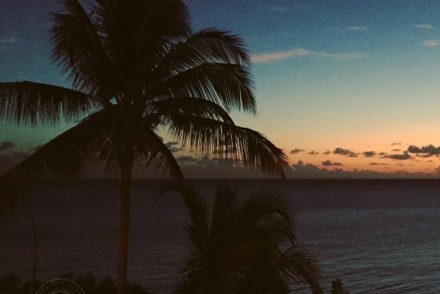 Great post, visiting a Mayan site has been on my bucket list for so long! They are so interesting to me. They have so many similarities, even though they were so far apart. No internet then. I know! Just horrible. That monkey was funny. 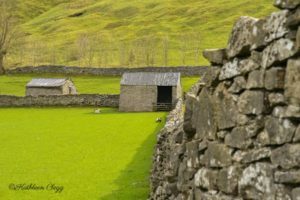 Lovely pictures and what an informative post. I can’t imagine a king having 32 wives!! LOL. Can you imagine the chaos. I know! Wouldn’t that be a nightmare?! Those poor guys. 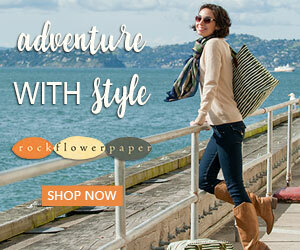 A nice adventure you had there with the flora and fauna. 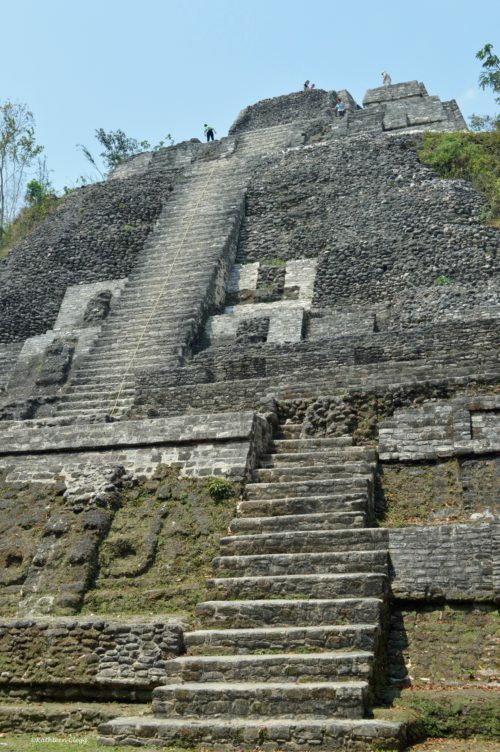 The temple looks formidable and I’m sure will test one’s mettle in scaling the steep stairs. That bit of history was shocking – a king having 32 wives and sacrificing his own children! They were steep and took some time to get up for sure. They do have a rope to help though. I didn’t love that information about the children either. 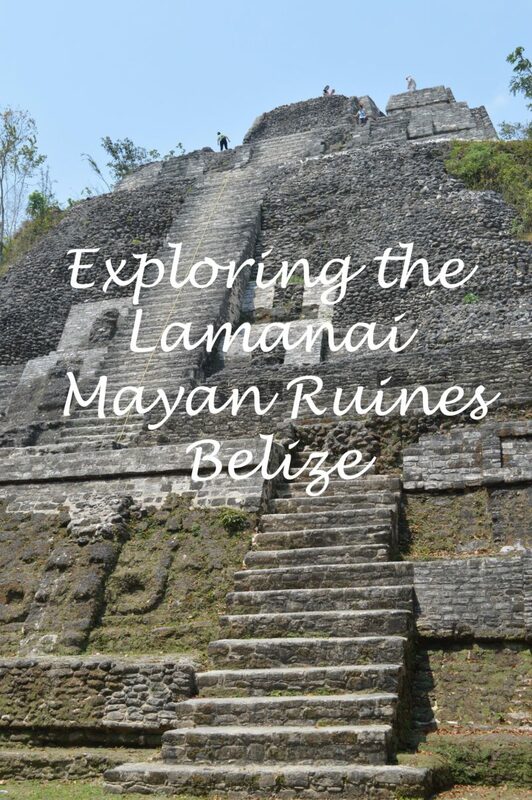 I’ve heard that the ruins in Belize are incredible – I haven’t yet been, but would love to get to Lamanai Mayan Site. 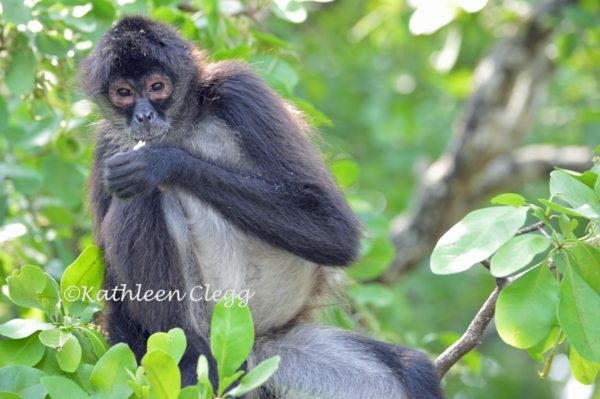 I loved the Mayan sites in Mexico, though Mexico ruins didn’t have adorable spider monkeys – they’re so cute! Noted to travel with mosquito repellent! They were incredible. That little monkey made my day and is probably one of my favorite photos that I’ve ever taken. Mosquito repellent is a must! 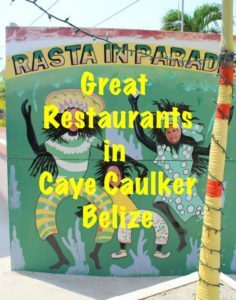 I’ve seen the Mayan sites in the Yucatan Penninsula, but the ones in Caye Caulker, Belize seem equally interesting. The one thing the sites in Mexico don’t have are the monkeys. It must have been so cute to see them around. You had me at the monkeys. What an incredible, historic site. 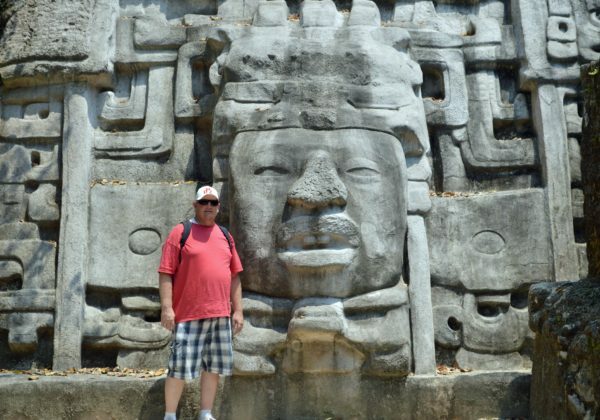 I’ve always been fascinated by Mayan history, so I would love to explore this site. Isn’t he a cutie?! The site was really interesting. The ruins were pretty amazing.The monkeys were fantastic too. Made my whole day. The only place I have ever been in Mexico was Cozumel. I’ve always been intrigued by this Mayan ruins. The architecture and history is so fascinating. I look forward to visiting it. We loved Cozumel! So pretty. Mayan ruins are so interesting. Such interesting information. I will be visiting my first Mayan site Chichen Itza in a month. I had no clue about the kings having so many wives and building so many temples. Sad about their kiddos. Hard to imagine the world being like that so many years ago. 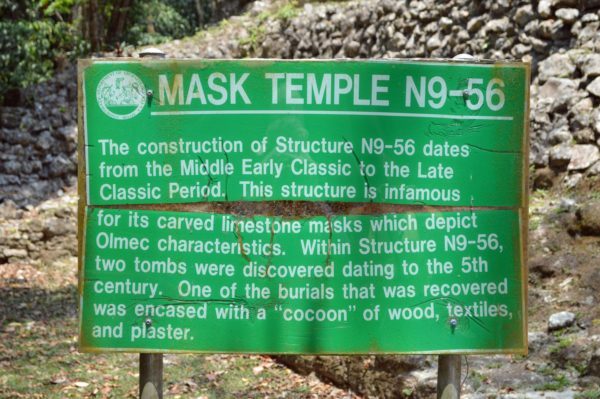 I hope to make it to the LAMANAI MAYAN SITE someday. Oh, Chichen Itza was super interesting when we went there. Back then, you could climb to the top. I’ve been told you can’t do that anymore. Apparently they stopped it about a month after we were there. It was our first ruins and we really enjoyed it. I hope you love it. Take water! I am a huge history fangirl and it’s a shame I had never heard of this place before but Lamanai Mayan site definitely looks like a great place to explore. The nature, the ruins…everything looks wonderful. Adding to my list of places to visit. It’s really a great place to visit. Your list sounds like mine. Ever growing. 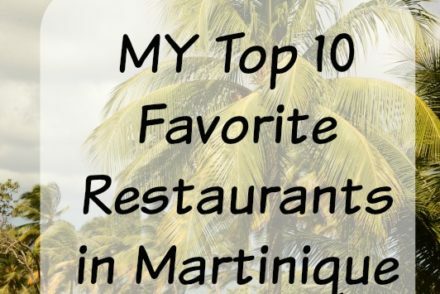 Belize was one of the first trips my husband and I ever took together! Most people stay in the islands (we also started on Caye Caulker) and don’t even realize Belize has amazing Mayan ruins. Good for you for getting out there! As for monkeys and Pringles, it’s really not good for the wildlife, so we never feed wild animals. Thanks for bringing us back down memory lane…we’ll never forget those steep temple stairs! We enjoyed our trip to the ruins. It was a lot of fun and so much to learn. Caye Caulker was so amazing too. Belize is just a beautiful place. 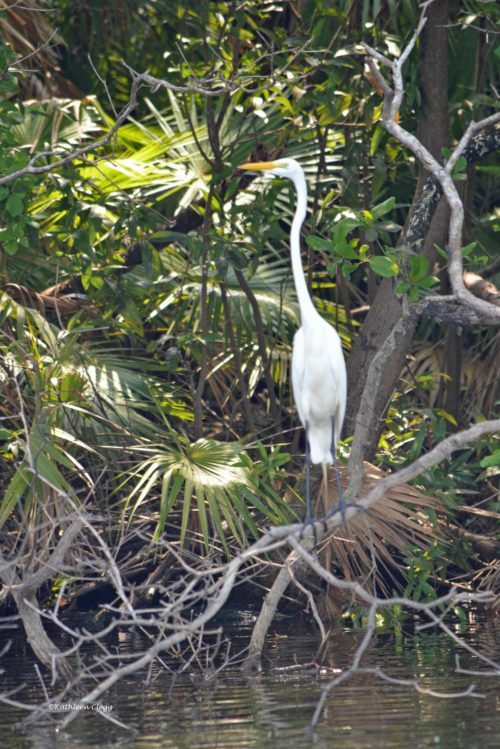 I would love to kayak down the river and see all the wildlife up and close. 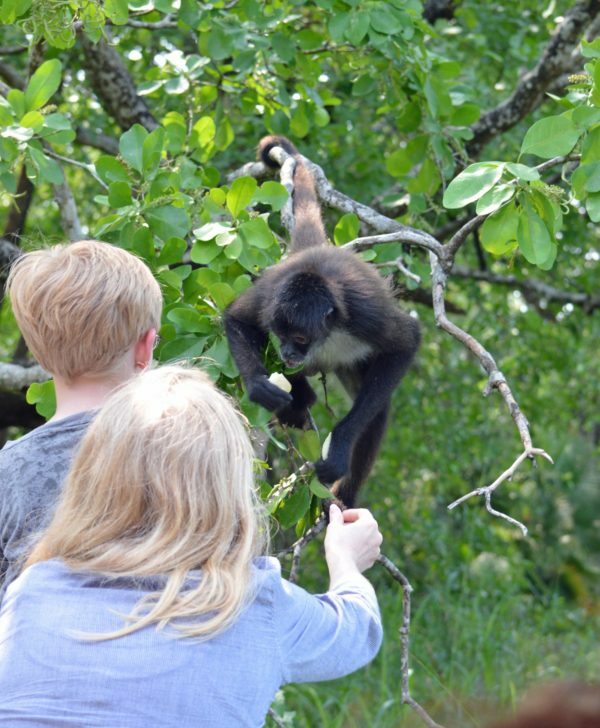 It is unfortunate that the spider monkey has learned bad habits and begs people for food. I would love a chance see all the Mayan ruins. I wish we knew more about this civilization. They had so much knowledge that we could have learned from. There are so many ruins. I have been to 4 sites and it seems that while they are all similar, there are big differences as well. It would be great to be able to ask them some questions.